Radically new science has recently emerged at the interface between superconducting and non-superconducting materials via the proximity effect. These advances open up tantalising possibilities in spin-electronics and quantum computing, stimulating extreme interest in the scientific community. This meeting will draw together the range of specialisms essential to develop full understanding, realisation and exploitation of these new superconductivity mediated phenomena. Biographies of the key contributors are available below and you can also download a programme (PDF). Recorded audio of the presentations will be available on this page shortly after the event. Jason Robinson read Materials Science at Imperial College London (2000-2004), then went on to a PhD at Cambridge University in 2004. In 2011, he was elected to a University Research Fellowship at the Royal Society and in 2015 was appointed a lecturer at Cambridge University then a Readership in 2016 in the Department of Materials Science. He leads a research group that focuses on understanding the fundamental properties of functional materials and spintronics, with major achievements including the discovery of spin-polarised triplet Cooper pairs, which led to the field of superconducting spintronics. 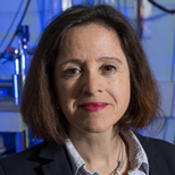 Professor Lesley Cohen is a professor of solid state physics studying the fundamental behaviour of materials and devices with unusual electronic, optical, superconducting or magnetic properties for a variety of applications including solid state efficient and environmentally friendly magnetic refrigeration. Over a number of years her group has developed a suite of characterisation tools that have enabled unique insight into the behaviour of materials at low temperatures and high magnetic fields. She has published over 350 journal publications in her areas of interest. 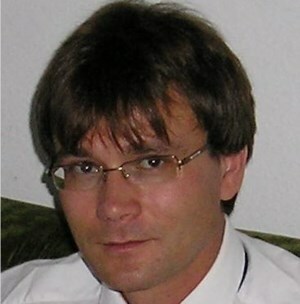 Matthias Eschrig is Professor of Physics and leads the Condensed Matter Theory group at Royal Holloway, University of London. He has a PhD from University of Bayreuth (1997) and obtained his Habilitation at Karlsruhe Institute of Technology (2005), after having spent time in USA at Northwestern University and at Argonne National Laboratory. He moved to UK in fall 2010. His research focuses on superconductivity, quantum transport in heterostructures, proximity systems, topological phenomena, as well as quantum many body theory and correlated electron physics. He is one of the leading international theorists on the interaction of superconductors and ferromagnets and co-founded the field of ‘Superconducting Spintronics’. He is Deputy Director of the Hubbard Theory Consortium and member of the Board of Governors of the NSF International Institute on Complex Adaptive Matter. In 2015 he was awarded the Lars Onsager Professorship and Lars Onsager Medal of the Norwegian University of Science and Technology. Laura H Greene works toward elucidating mechanisms of unconventional superconductivity and developing methods for predictive design of new families of superconductors. She is chair-elect of the Division of Materials Physics of the APS, editor-in-chief of Reports on Progress in Physics, Board of Governors chair for I2CAM, serves on IUPAP, the Board on Physics and Astronomy, and works with young scientists in developing nations. Greene is a member of the NAS, and Fellow of the American Academy of Arts and Sciences, FInstP (IoP), AAAS, and APS. She has received a Guggenheim Fellowship; The E O Lawrence Award, and the Maria Goeppert-Mayer Award. "Liang Fu joined the MIT Physics Department as an Assistant Professor in January 2012. He obtained a Bachelor’s degree in Physics from the University of Science and Technology of China in 2004 and PhD in Physics from the University of Pennsylvania in 2009. Before coming to MIT, he was a Junior Fellow at Harvard University." We recently reported our experiment on "Signatures of Majorana fermions in Hybrid Superconductor-Semiconductor Nanowire Devices". Since then the data has been reproduced and extended by others and also by ourselves. Theoretical analyses have pointed at both alternative explanations as well as strengthening the Majorana interpretation. Also new experimental checks have been proposed including the ultimatecheck in terms of a minimal scheme for braiding to demonstrate non-Abelian statistics. I will give an overview and an outlook. Backgroundinformation and published work can be found at kouwenhovenlab.tudelft.nl. Leo Kouwenhoven is a Distinguished Professor in Physics at Delft University of Technology. His research focusses on nano-scale electronic devices that make explicit use of quantum phenomena like superposition and entanglement. Examples include solid state qubits and topological systems hosting Majorana Fermions. Kouwenhoven's group is part of the Kavli Institute of NanoScience at Delft. Topological insulators in proximity to a superconductor have been predicted to support Majorana zero- modes: midgap states with identical creation and annihilation operators and non-Abelian braiding statistics, that are presently under intense scrutiny. The conducting edge of a quantum spin Hall insulator (a quantum well with an inverted band gap) seems like an ideal system to search for these elusive particles in a transport experiment: Only a single mode propagates in each direction along the edge, unaffected by disorder since backscattering of these helical modes is forbidden by time-reversal symmetry. We discuss the prospects for the detection of Majoranas as a short-term application, and braiding as a longer term perspective. "Carlo Beenakker leads the nanophysics group at the Instituut-Lorentz for theoretical physics at Leiden University. He has a PhD from Leiden University (1984), and worked at the Philips Research Laboratories in Eindhoven before returning to Leiden in 1992." I discuss the relationship between broken symmetries of the ground state and the topological nature of the Fermionic states confined near surfaces, domain walls and topological defects for the superfluid phases of 3He. The Fermionic spectrum of confined (2D) 3He-A are chiral edge states (Weyl Fermions). The negative energy states are are related to the ground-state angular momentum, Lz = (N/2) ℏ, of superfluid 3He-A for N/2 Cooper pairs. The power law suppression of the angular momentum, Lz (T)=(N /2) ℏ [1−βT2] for 0 ≤ T ≪ Tc, in the fully gapped 2D chiral A-phase reflects the thermal excitation of the Weyl branch of Fermions. I discuss the sensitivity of the edge current and ground-state angular momentum to topology and geometry of the confining boundaries. The B-phase of superfluid 3He, described by the Balian-Werthamer state, is the realization of a 3D time-reversal invariant (TRI) topological superfluid with an isotropic energy gap separating the ground-state and bulk continuum states. The surface states are Majorana Fermions with their spins polarized transverse to their direction of propagation, p||, and the surface normal. The negative energy states give rise to a ground-state helical spin current confined on the surface. Superfluid flow through a channel of confined 3He-B breaks SO(2)Lz+Sz rotational symmetry and time-reversal (T). However, the Bogoliubov-Nambu Hamiltonian remains invariant under the combined symmetry, Uz(π) × T, where Uz(π) is a π rotation about the surface normal. As a result confined 3He-B in the presence of a superflow remains a topological phase with a gapless spectrum of Majorana modes on the surface. Thermal excitation of the Doppler shifted Majorana branches leads to a power law (∼T3) suppression of the superfluid mass current for 0 < T ≲ 0.5 Tc, providing a direct signature of the Majorana branches of surface excitations in the fully gapped 3D topological superfluid, 3He-B. "James Sauls is Professor of Physics at Northwestern University in Evanston, Illinois, USA. He received a PhD from State University of New York at Stony Brook, New York (1980), was a post-doc at Princeton University and Nordita in Copenhagen, Denmark, joined the faculty at Princeton University in 1982, then joined the Northwestern faculty in 1987. He held visiting faculty appointments at the University of Copenhagen and Joseph Fourier University, as well as an appointment as Director of Research at the CNRS laboratories in Grenoble, France. His expertise is in quantum field theory and condensed matter theory with applications to strongly interacting Fermi systems out of equilibrium. His current research program, support by the US National Science Foundation, is an investigation of topological phases of condensed matter that emerge from the combination of spontaneous symmetry breaking and the topology of the resulting low-energy Hamiltonian for excitations in the broken symmetry phases, particularly topological phases of superfluid 3He and unconventional superconductors. He is Fellow of the American Physical Society and serves as on the Executive committee of the Division of Condensed Matter Physics. He was awarded the Max Planck research prize in theoretical physics in 1994 and the John Bardeen Prize for theoretical contributions to superconductivity in 2012." "Professor Annett has been in the Theoretical Physics group at the University of Bristol since 1994. Previously he held an academic position at The Pennsylvania State University. 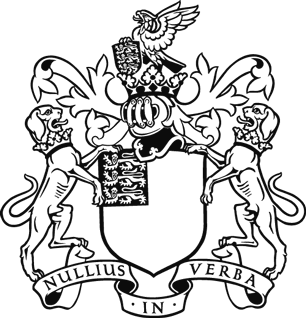 His postdoctoral research was at the University of Illinois at Urbana Champaign, and as Research Fellow at Emmanuel College Cambridge, and his PhD was from Cambridge. His research in theoretical condensed matter physics uses quantum physics to study new and complex materials. Of particular interest are new superconductors, especially the family of high temperature copper-oxide based superconductors. He uses a combination of first principles electronic structure theory, quantum many-body theory and group theory methods to understand the d-wave pairing state of superconductivity in these and related materials. Another area of current research is in nanostructured devices employing superconductors, in particular multi-layer devices containing ferromagnetic and superconducting elements, and in superconducting Josephson junction devices with possible applications in the field of quantum information." In this talk we will address the superconducting proximity effect between a superconductor (S) and a normal metal (N) linked by a spin-active interface. With the help of a low-temperature scanning tunneling microscope [1,2] we study the local density of states of trilayer systems consisting of aluminium, the ferromagnetic insulator (FI) EuS, and the noble metal silver for varying thickness of the FI. In several recent studies it has been shown that EuS acts as ferromagnetic insulator with well-defined magnetic properties down to very low thicknesses . For very thin FI with d¬FI = 2 nm we find a strong enhancement of the induced minigap at the normal side. For intermediate thickness we observe pronounced subgap structures that vary from contact to contact. For dFI = 10 nm the spectra are in agreement with the diffusive theory for S/N structures (without FI) as confirmed in earlier studies . We discuss our findings in the light of recent theories of odd-triplet contributions created by the spin-active interface [4,5]. C. Debuschewitz, F. Münstermann, V. Kunej, E. Scheer A compact and versatile scanning tunnelling microscope with high energy resolution for use in a 3He Cryostat, J. Low Temp. Phys. 147, 525 (2007)  M. Wolz, C. Debuschewitz, W. Belzig, E. Scheer Evidence for attractive pair interaction in diffusive gold films deduced from studies of the superconducting proximity effect with aluminium, submitted  J. Linder, A. Sudbø, T. Yokoyama, R. Grein, M. Eschrig, Phys. Rev. B 81, 214505 (2010)  B. Li, N. Roschewsky, B. A. Assaf, M. Eich, M. Epstein-Martin, D. Heiman, M. Münzenberg, and J. S. Moodera, Phys. Rev. Lett. 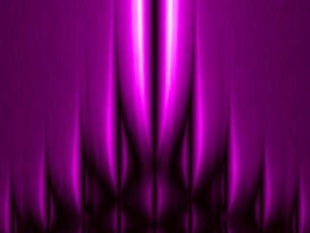 110, 09700 (2013)  A. Cottet, W. Belzig, Phys. Rev. B 72, 180503R (2005); P. Machon, W. Belzig, unpublished. We gratefully acknowledge financial support from the Kompetenznetzwerk Funktionelle Nanostrukturen of the Baden-Württemberg Stiftung. "Professor Elke Scheer studied Physics and graduated to a Dr. rer. nat. (equivalent to PhD) at the University of Karlsruhe, studying Universal Conductance Fluctuations in metallic nanostructures. In her postdoctoral studies at Centre d’Etudes Saclay, France, she focussed on the electronic transport on the atomic scale and on mesoscopic superconductivity. Since 2000 she is professor of experimental physics at the University of Konstanz. Her research interests include several aspects of quantum transport: mesoscopic superconductivity, spin-dependent transport at the atomic scale, molecular electronics, and hybrid systems of superconductors and magnets." It is by now common knowledge that the interaction between conventional superconductivity and ferromagnetism in superconductor-ferromagnet (S/F) hybrids leads to a new type of superconducting correlations in a triplet state. Since the prediction of this intriguing phenomenon in 2001, there has been an increasing experimental activity in the field. That research focuses mainly on the creation and control of spin-polarized supercurrents and tries to identify the optimal material combination. To achieve this, however, it is essential to understand the fundamental physics that underpin singlet-triplet conversion. It is commonly believed that singlet-triplet conversion happens only in the presence of magnetic inhomogeneities. In this talk, I will present a unified model that shows that the spin-orbit, like magnetic inhomogeneities, can generate triplet correlations. Our model provides a full analogy between singlet-triplet conversion and the precession of spins injected into a diffusive metal in the presence of spin-orbit coupling. In the light of our theory, I will analyze the proximity effect in different hybrid structures and establish a general condition for the creation of the equal-spin triplet component. 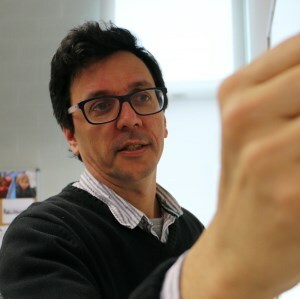 Sebastian Bergeret is the head of the Mesoscopic Physics Group at the Material Physics Center in San Sebastian, Spain. His research field is the theoretical study of transport properties of nanostructures, focusing mainly on superconducting systems. Sebastian’s works provided significant insights on superconductivity in hybrid systems and has led to verifiable predictions. In particular, his works on odd-triplet superconductivity, and more recently on non-equilibrium and spin-orbit coupling in superconductors has sparked an intense research activity in the field and opened the door for spin-based applications of superconducting devices. It is by now clear that, by generating so-called odd-frequency triplet Cooper pairs, it is possible to have supercurrents flow through ferromagnets over lengths which are similar to those in normal metals. The mechanism under which triplets are generated is not fully understood as yet, but a spin-active interface between the superconducting (S) contact and the ferromagnet (F) is a prerequisite, meaning some form of inhomogeneous magnetization or a difference in the scattering of two spin channels. In practice, a single S/F interface does not have the required properties to act as triplet generator in an S/F/S Josephson junction, as shown in experiments involving Co . We show that also for halfmetallic ferromagnetic CrO2 a single interface with a superconductor usually does not lead to triplet supercurrents in an S/F/S junction. However, by inserting an N/F*/N sandwich between S and F (N a normal metal and F* a different ferromagnet, micron-ranged supercurrents can be induced in CrO2. Futhermore, experiments based on Point Contact Andreev Reflection  indicate that CrO2 has strong intrinsic spin mixing properties, suggesting that the role of the F* layer is primarily spin rotation. T. S Khaire, M. A. Khasawneh, W. P. Pratt Jr and N. O. Birge, Phys. Rev. Lett. 104, 137002 (2010). K.A. Yates, M.S. Anwar, J. Aarts, O. Conde, M. Eschrig, T. Löfwander and L.F. Cohen, EuroPhys. Lett. 103, 67005 (2013). "Jan Aarts received his PhD in 1984 from the University of Amsterdam, on a subject involving Intermediate Valence compounds and Heavy Fermion superconductivity. After working at Philips Research Laboratories for three years, investigating growth and surfaces of semiconductors, he moved to Leiden University. At the moment he leads an experimental group studying phenomena in thin magnetic and superconducting films, both using metals and metallic oxides. A long-term interest of the group concerns superconductor-ferromagnet hybrids; first proximity effects, then pi-junctions, and currently odd-frequency triplets." The supercurrent in Josephson junctions containing ferromagnetic materials (called S/F/S junctions) decays and oscillates rapidly with increasing F layer thickness due to the large exchange splitting between the spin-up and spin-down electron bands in F. In the presence of non-collinear magnetization, Bergeret et al. predicted that spin-triplet pair correlations are generated, which are immune to the exchange field and hence persist over much longer distances in F . Several groups have now observed convincing evidence for such spin-triplet correlations in a variety of S/F and S/F/S systems. Our own approach is based on Josephson junctions of the form S/F’/F/F’’/S, with non-collinear magnetizations in adjacent ferromagnetic layers [2, 3]. Such structures provide the possibility to control the phase across the junction (0-state or pi-state) by rotating the magnetization of one of the three ferromagnetic layers. We will present our recent progress toward achieving this goal. We acknowledge support from the US DOE under grant DE-FG02-06ER46341, from IARPA under SPAWAR contract N66001-12-C-2017, and from Northrop Grumman Corporation. F.S. Bergeret, A.F. Volkov, and K.B. Efetov, Phys. Rev. Lett., 86, 4096 (2001). T.S. Khaire, M.A. Khasawneh, W.P. Pratt, Jr., and N.O. Birge, Phys. Rev. Lett. 104, 137002 (2010); C. Klose et al, Phys. Rev. Lett. 108, 127002 (2012). M. Houzet and A.I. Buzdin, Phys. Rev. B 76, 060504(R) (2007). Norman Birge received his PhD in 1986 from the University of Chicago, studying the glass transition in supercooled liquids. He changed his focus to electronic transport during his post-doctoral work at AT&T Bell Laboratories. He came to Michigan State University in 1988 and has been there ever since, aside from two sabbatical years with the Groupe Quantronique at the CEA Saclay in France. His research has spanned several topics in quantum transport and mesoscopic physics, including 1/f noise and universal conductance fluctuations, dissipative quantum tunneling of defects in metals, electron phase coherence at very low temperatures, the superconducting proximity effect, and nonequilibrium phenomena in metallic systems. His current research focuses on the interplay between superconductivity and ferromagnetism in hybrid structures. Exotic quasiparticle excitations such as Majorana fermions arise in hybrid structures of topological insulator (TI) and s-wave superconductors (S). Much of the new physics was captured in the elegant model introduced by Fu and Kane for the TI-S interface. And a rich variety of TI-S proximity structures have been investigated experimentally. In this talk, I will present microscopic, self-consistent simulations of the superconducting proximity effect near the TI-S interface for a detailed understanding of the spatial structures of the interfacial bound states. The accuracy of the Fu-Kane model will be assessed. Next, I will demonstrate different regimes of the Andreev bound states spectrum in S-TI-S Josephson junctions, and the related local density of states and the scaling of the supercurrent with the length of the junction. Lastly, I will discuss the nodal structure in the spectrum of TI-S multilayers (superlattices), and present numerical evidence for realizing the analog of the A phase of superfluid helium three, or a Weyl superconductor, in these systems as first pointed out by Meng and Balents. "Erhai Zhao is a condensed matter theorist interested in unconventional and topological superconductivity. He got his PhD in 2005 from Northwestern University. His thesis dealt with the spectral and transport properties of hybrid structures of superconductors and spin active materials such as ferromagnets. Subsequently he became a postdoc fellow at University of Toronto working on correlated electron systems including high temperature superconductors. During his next postdoc at University of Pittsburgh, he worked on modulated superfluidity in low dimensional quantum gases of ultracold fermions. He joined the faculty of George Mason University as an assistant professor in 2009, and also became a guest researcher at the National Institute of Standards of Technology since then. Currently, he is interested in topological superconductivity in artificial hybrid structures, and the quantum phases of dipolar fermions. " Inducing an exchange gap locally on the Dirac surface states of a topological insulator (TI) is ideal for observing the predicted unique features such as the quantized topological magnetoelectric effect, half-integer quantized Hall effect, as well as to conﬁne Majorana fermions. [1-3] Our work experimentally demonstrated the proximity-induced interface ferromagnetism in a heterostructure combining a ferromagnetic insulator EuS layer with Bi2Se3, without introducing defects. An exchange gap was observed to be induced on the surface of the TI. Extensive magnetic and magneto-transport (magnetoresistance and anomalous Hall effect) investigation of the heterostructures, including synchrotron interfacial (XAS and XMCD measurements) studies have shown the emergence of a ferromagnetic phase in TI, which is a step forward to unveiling the above exotic properties. Also, to understand the intrinsic properties of TI it is necessary to correlate structure with the exotic electronic properties as well as interaction with other materials. Molecular beam epitaxy (MBE) ideally allows us to engineer the system whereas using synchrotron and electron diffraction based experimental techniques helps us to investigate with atomic resolution. We will elucidate our studies on well-defined TI films and heterostructure, and the role of imperfections on the symmetry of the material that leads to internal atomic ordering by the decoration of the defects. Charge transport and mobility are seen to relate with film growth strain and relaxation as well as display strong directional dependence on the defect geometry. Work done in collaboration with Peng Wei, Ferhat Katmis and others. X.-L. Qi and S.-C. Zhang, Rev. Mod. Phys. 83, 1057 (2011). M. Z. Hasan and C. L. Kane, Rev. Mod. Phys. 82, 3045 (2010). L. Fu & C. L. Kane, PRL, 100, 096407, (2008). P. Wei, F. Katmis, B. A. Assaf, H. Steinberg, P. Jarillo-Herrero, D. Heiman, and J. S. Moodera, PRL, 110, 186807 (2013). Dr Jagadeesh Moodera is a senior research scientist and group leader at the physics department at MIT, USA. Jagadeesh is also a Distinguished Visiting Professor at the IQC, University of Waterloo; a Visiting Professor at the Applied Physics Department, Technical University of Eindhoven; a Distinguished Institute Professor at IIT Madras; and a Distinguished Foreign Scientist at NPL, Delhi. Jagadeesh has served on the Board of External Experts for national research programs in France, Holland, England and Ireland and has been elected a Fellow of the American Physical Society. He is also the recipient of several awards: IBM and TDK Research Awards, and the Oliver E. Buckley Condensed Matter Prize from the American Physical Society. Jagadeesh’s research interest lies in: 1) manipulating electron spin in solids-spin tunnelling, spin filtering and interfacial exchange coupling; 2) molecular spintronics: towards molecular-scale spin memory; 3) ferromagnet/superconductor heterostructure towards superconducting spintronics; 4) quantum transport in topological driven systems and heterostructures: atomic scale interface exchange phenomena; atomically resolved interface chemical/physical/magnetic studies; electrical transport; and 5) the search for Majorana bound states in unconventional superconductors, and interactions. "Nadya Mason is an associate professor of physics at the University of Illinois at Urbana-Champaign. She received her bachelor’s degree in physics from Harvard University, her doctorate in physics from Stanford University, and did postdoctoral work as a Junior Fellow in the Harvard Society of Fellows. A condensed matter experimentalist, Mason focuses on how electrons behave in low-dimensional materials such as carbon nanotubes, graphene, nano-structured superconductors, and topological insulator surface states. Her research is relevant to the fundamental physics of small systems, as well as to applications involving nano-scale electronic elements. Mason was a recipient of a National Science Foundation CAREER award in 2007, was named a 2008 Emerging Scholar by Diverse Issues in Higher Education magazine, received the 2009 Denise Denton Emerging Leader Award, the 2011 Maria Goeppert Mayer Award of the American Physical Society, and a Dean’s Award for Excellence in Research at the University of Illinois in 2012." Topological superconductor with time reversal symmetry is a hot topic now. Recently, topological superconducting state has been predicted in Cu doped Bi2Se3 (CuxBi2Se3). Point contact spectroscopy has shown a zero bias conductance peak (ZBCP) consistent with the presence of surface edge mode, i.e., surface Andreev bound states (SABSs). We study, i) Tunneling spectroscopy [3,6], ii) Josephson current , iii) Bulk properties  and iv) proximity effect of this system . i) Tunneling spectroscopy of superconducting topological insulator  We have developed a theory of the tunneling spectroscopy for superconducting topological insulators (STIs), where the SABSs appear as helical Majorana fermions. We have found that the SABSs in the odd-parity STIs have a structural transition in the energy dispersions. The transition [3,4] results in a variety of Majorana fermions, by tuning the chemical potential and the effective mass of the energy band. We further derived an analytical formula of the conductance of the present junction  which is an extension of the conductance formula of unconventional superconductors . ii) Josephson effect of superconducting topological insulator  We have studied the effect of helical Majorana fermions at the surface of odd-parity STIs on the Josephson current. The Josephson current-phase relation in an STI/s-wave superconductor junction shows robust sin(2ϕ) owing to mirror symmetry, where ϕ denotes the macroscopic phase difference between the two superconductors. The maximum Josephson current in an STI/STI junction exhibits a nonmonotonic temperature dependence depending on the relative spin helicity of the two surface states. We have calculated the temperature dependence of the spin susceptibility. We have proposed that the pairing symmetry of a STI can be determined from measurement of the Knight shift by changing the direction of the applied magnetic field. We have self-consistently studied surface states and proximity effect. We demonstrate that, if a topologically trivial bulk s-wave pairing symmetry is realized, parity mixing of pair potential near the surface is anomalously enhanced by surface Dirac fermions, opening an additional surface gap larger than the bulk one. In contrast to classical s-wave superconductors, the resulting surface density of state hosts an extra coherent peak at the induced gap besides a conventional peak at the bulk gap but no such surface parity mixing is induced by Dirac fermions for topological odd-parity superconductors. Our calculation suggests that the simple U-shaped scanning tunneling microscope spectrum does not originate from s-wave superconductivity of CuxBi2Se3. L. Fu and E. Berg, Phys. Rev. Lett. 105, 097001 (2010). S. Sasaki, et. al., Phys. Rev. Lett. 107, 217001 (2011). A. Yamakage, K. Yada, M. Sato, and Y. Tanaka, Phys. Rev. B 85, 180509 (2012). T. H. Hsieh and L. Fu, Phys. Rev. Lett. 108, 107005 (2012). A. Yamakage, et.al., Phys. Rev. B 87, 100510(R) (2013). S. Takami, K. Yada, A. Yamakage, M.Sato and Y. Tanaka, to be submitted in J.Phys.Soc.Jpn. T. Hashimoto, et.al., J. Phys. Soc. Jpn. 82, 044704 (2013). T. Mizushima, A. Yamakage, M. Sato and Y. Tanaka, arXiv.1311.2768. "Yukio Tanaka is Professor, Department of Applied Physics as Nagoya University. His field of specialty is ""Theory of condensed matter physics"". He has been studying the theory of superconductivity. Especially, he has focused on topics like the tunneling effect, Josephson effect and proximity effect, where phase of the superconducting pair potential plays an important role. I have revealed the origin of the zero bias conductance peak in high Tc cuprate is the Andreev bound state. At the same time, he has been studying about microscopic theory of mechanism of unconventional superconductors. Based on these backgrounds, he has clarified recently that odd-frequency pairing is one of the important new direction in the field of condensed matter physics." Odd frequency superconductivity proved to be an elusive state that is yet to be observed as a primary pairing state. On the other hand the list of systems and structures where odd frequency can be present as an induced component is growing. I will review various scenarios pointing to emergence of odd frequency pairing due to modifications of the primary conventional pairing. Recently we find that odd frequency component is ubiquitously present in multiband superconductors. We show that odd-frequency superconducting pairing requires only a finite band hybridization, or scattering, and non-identical intraband order parameters, of which only one band needs to be superconducting. From a symmetry analysis we establish a complete reciprocity between parity in band-index and frequency. "Professor Oded Millo did his PhD at the Hebrew University, studying collective and localized electronic excitations on metal surfaces. His Post-Doc research, performed at Yale University, focused on quantum-transport (mesoscopic physics), in particular Universal Conductance Fluctuations and conductance fluctuation in chaotic billiards. He is now a full professor at the Racah Institute of Physics, the Hebrew University of Jerusalem. His current research focuses on local-probe and transport studies of superconductivity, in particular proximity-effects at ferromagnet -superconductor interfaces, nanostructured semiconductor systems, and solar-cell materials. Oded Millo was among the founders, and also Headed, the Hebrew University Centre for Nanoscience and Nanotechnology, and now serves as the Head of Physics Teaching at the Racah Institute of Physics. " "Tomas Lofwander is an associated Professor in theoretical physics at the Department of Microtechnology and Nanoscience (MC2) at Chalmers University of Technology in Sweden. He received his master degree in engineering physics in 1996 from Chalmers, and his PhD in theoretical physics in 2001 from Chalmers. He worked as a post-doc at Northwestern University in the USA for three years supported by scholarships from the Swedish research council and the Wennergren foundation, and at Karlsruhe Institute of Technology for two years supported by a scholarship from the Alexander von Humboldt foundation. After the post-doctoral work he moved back to Chalmers in 2006. His interests lies in Condensed Matter Physics in general, with emphasis on electronic quantum transport at the nanoscale for future applications in nano-electronics. His publications include studies of Josephson junctions of high-Tc superconductors, heterostructures of superconductors and magnetic materials, and recently graphene nanostructures and single molecule contacts with graphene leads. Lofwander is currently heavily invovled in European projects as coordinator of the STREP ConceptGraphene and as vice director of the European flagship GRAPHENE." The exchange-splitting of the density of states in a ferromagnetic insulator results an differing tunneling probabilities for the two electron spin directions and so can result in substantial spin polarisation of the tunneling current. Despite this, we showed that superconducting tunnel junctions containing such barriers could show a significant Josephson supercurrent. More recent work has shown that Josephson junctions containing strongly magnetic barriers show a current-phase relationship I = I0 sin(2Ø): i.e. the 2nd harmonic of the conventional form. This behaviour, together with significant asymmetry in the quasiparticle conductance-voltage characteristic, suggests that the triplet pairs mediate the Josephson current in such devices. 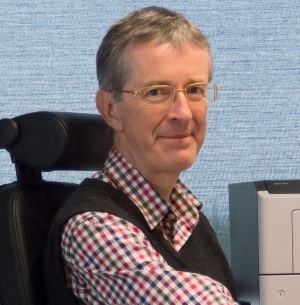 Mark Blamire is Professor of Device Materials in the Department of Materials Science at the University of Cambridge. He leads the Device Materials group, working primarily on superconducting spin electronics. This work is currently supported by an EPSRC Programme Grant (Superspin) exploring the potential for superconducting spin electronics. He is a Fellow of the Institute of Physics and the Institute of Materials, Minerals and Mining. He received his PhD in 1985 under Jan Evetts and has worked on the properties of superconducting materials and devices throughout his career. He has authored over 450 journal papers and contributed to the most recent European roadmap on superconductive electronics. When a topological insulator becomes a superconductor upon doping, it has a good chance of harboring topological superconductivity. There are two routes for such a possibility. One is that the surface Dirac fermions of topological insulators may obtain superconductivity due to the proximity effect from the bulk and become a spin-non-degenerate 2D topological superconductor. The other is that the bulk superconductivity in a doped topological insulator itself obtains a topological nature due to strong spin-orbit coupling, which could promote odd-parity pairing and make the system a 3D topological superconductor. So far, Cu-doped Bi2Se3 and In-doped SnTe have been found to present zero-bias conductance peaks in point-contact spectroscopy, which suggest the existence of surface Andreev bound states that are a hallmark of unconventional superconductivity. In this talk, I will present latest developments in the experiments on superconducting doped topological insulators. This work was done in collaboration with S Sasaki, M Kriener, K Segawa, K Yada, Y Tanaka, M Sato, and L Fu. Y A is supported by JSPS [Grant-in Aid for Scientific Research (S)], MEXT (Innovative Area “Topological Quantum Phenomena” KAKENHI), and AFOSR (AOARD 124038). "Dr Yoichi Ando was born in Tokyo, Japan, in 1964. He obtained BSc (1987), MSc (1989), and PhD (1994) degrees from the University of Tokyo. He did his postdoc at Bell Laboratories in the US (1994-1996), and then led a research group at Central Research Institute of Electric Power Industry in Tokyo (1996-2007), where he eventually became a department head. Since 2007, he has been a professor at the Institute of Scientific and Industrial Research, Osaka University. His research is aimed at discovery and understanding of novel quantum materials. To this end, he synthesizes new materials, grows high-quality single crystals, and performs top-notch measurements of various fundamental properties. He has made numerous contributions in the research of various quantum materials, in particular high-temperature superconductors, but recently he is most interested in topological insulators and topological superconductors, for which he has accomplished several important materials discoveries. His h-index is currently 51. He has received the prestigious Japan Society for the Promotion of Science (JSPS) Prize in 2006, and also received the Superconductivity Science and Technology Award in 2003 and in 2013. This work was done in collaboration with S Sasaki, M Kriener, K Segawa, K Yada, Y Tanaka, M Sato, and L Fu. Y A is supported by JSPS [Grant-in Aid for Scientific Research (S)], MEXT (Innovative Area “Topological Quantum Phenomena” KAKENHI), and AFOSR (AOARD 124038)."